If you have been following me on Facebook, you know I have been following The Daniel Plan 10 Day Detox. Basically for 10 days I cannot consume caffeine, dairy, sugar, and white, starchy carbs. I know what you're thinking "What's left after that!?!" Well, the answer is simple. EVERYTHING! 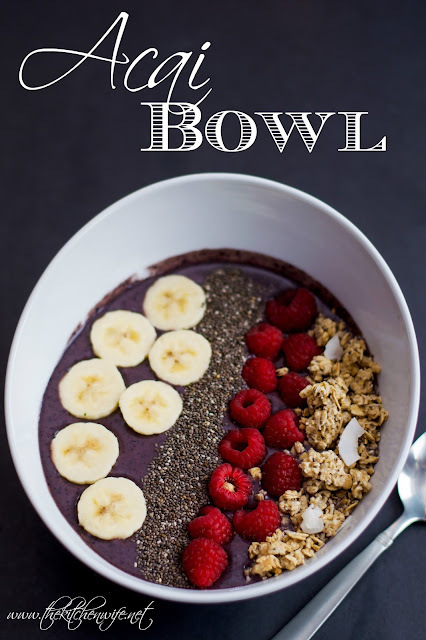 One of my favorite breakfasts to eat while detoxing (and any time really) is this Homemade Acai Bowl Recipe. Granola, raspberries, and chia seeds for topping. To begin you will need to take the frozen acai puree packet out of the freezer and place under warm water for 5 seconds. I purchased this at Trader Joe's, but I have seen it in the freezer section at Walmart and Kroger. Next, break the acai puree apart and place in your blender. Now you will scoop in the protein powder. You can use whatever protein powder you like, BUT I HIGHLY recommend a plant based one. 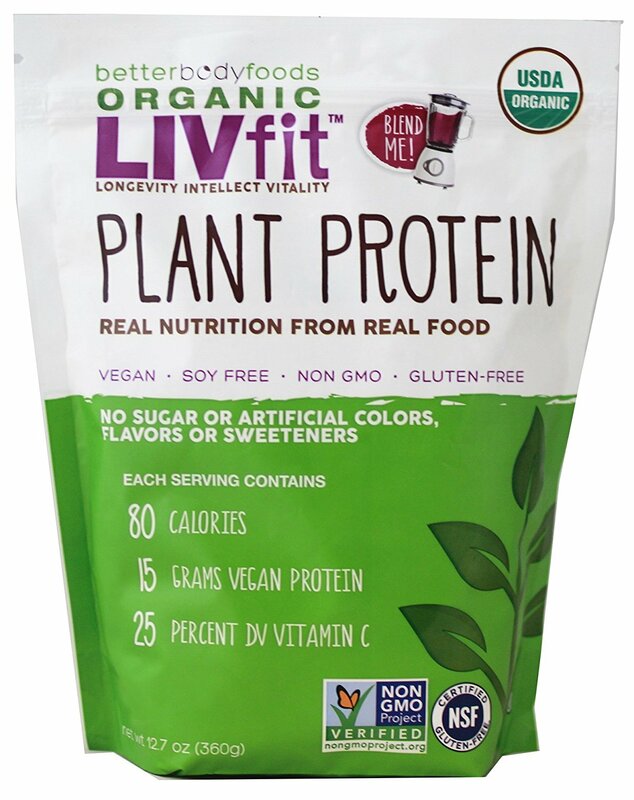 I really like the LIVfit Plant Protein. You can find it at places like Walmart and it is under $15. I'll leave a link for it HERE. After you add your protein powder of choice, you will pour in your water. You can also use almond milk, but I like water. HALF of the banana and frozen blueberries. Shake in a dash of stevia to sweeten. Of course this is optional, but I feel it needs it. Once you have added everything to your blender its time to buzz it up! And just because I know someone will ask, you can use any blender here, but I personally like the use the NutriBullet. I like it because it makes single serving sizes, it's easy to clean up, and with the drink lid you don't have to dirty another dish. 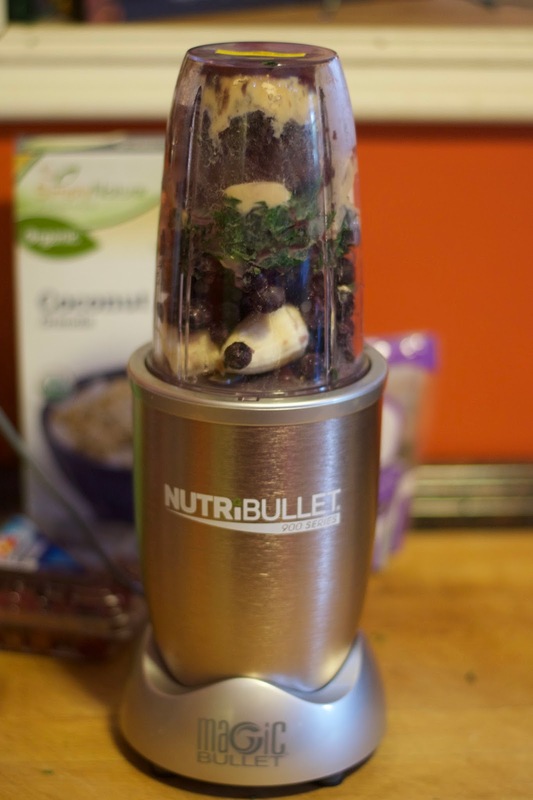 Now that everything is blended together and is smooth, you can add your favorite toppings. I like to slice up the other half of my banana and lay over the top. Then I sprinkle some chia seeds for a little extra fiber. After that I place some raspberries and some of this yummy organic granola with chia and coconut flakes. Look at how stunning this is! This is an AMAZING way to start your day or have for a snack or dessert. Just another great example that healthy eating is anything but boring. I hope you enjoy this recipe, and I would love to here your favorite smoothie recipes in the comments. Place the acai puree under warm water for 5 seconds. Break apart and place in the blender. Add the kale, HALF of the banana, and the frozen blueberries. Add a dash of organic stevia. 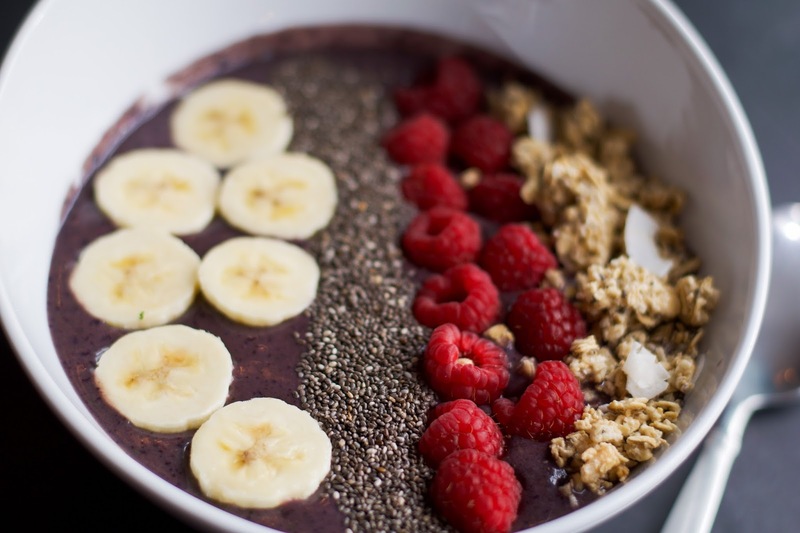 Pour into a bowl and top with the other half of the banana, sliced, chia seeds, raspberries, and granola. Yummy! I didn't know Walmart sold the protein power. I am going to pick that up. Thank you for this amazing recipe. I will be making this for my family. You're welcome! I love the powder. It does have a "salad" finish to it, but it's very faint. I really like it.